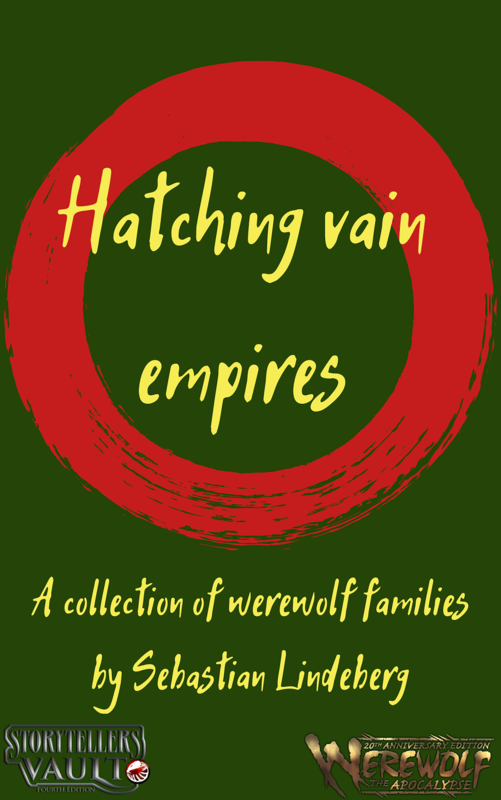 In this supplement we present five different werewolf families for garou to be a part of. The families are not a replacement for tribe, they are something in addition to the other factors shaping a garou. Some families are exclusively part of one tribe while some of them have spread around the Garou nation or even outside it. Each family comes with one gift and one fetish or type of fetish that is unique to them. They also have other advantages and drawbacks. But mainly family is important because it gives you a place in werewolf society. People know you and your bloodline and if you act dishonorably it is not only your own reputation you tarnish. You know what is expected of you, even if it is up to you to follow in you ancestors footsteps or rebel against the old ways.